As our technological capabilities expand, so do our homes. For the moment, expect to spend a king’s ransom on a home that incorporates advanced technology features like automated butlers, iPad-controlled systems or swimming pools with underwater music and all this can currently only be enjoyed by the super-rich. One company however, is throwing the rule book out of the window and making it easier to travel between the floors of the home with its latest, high-tech private home lifts which are available to all homeowners. 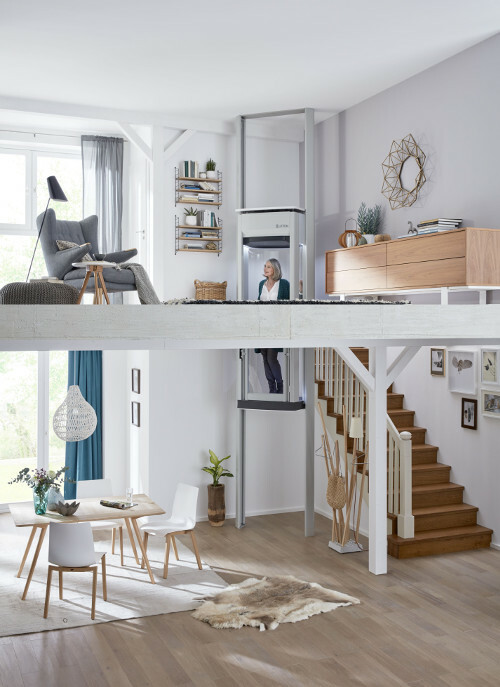 The innovative Lifton Home Lift from Lifton, is the first in its class to run on its own unique dual rail system, which critically means it does not need a supporting wall, breaking new ground in terms of design, as it can quite literally be located almost anywhere in the home. In fact, it continues to push design and engineering boundaries in terms of how it is powered. Unlike conventional domestic lifts which require a separate machine room, lift shaft and lift pit, Lifton home lifts run from a simple self-contained motor and plug straight into any domestic power socket with no hydraulics required. Moving between floors in under 30 seconds, the semi-transparent, ‘through the floor’ Lifton Home Lift is a smooth and pleasant travel experience in a light and airy cabin. Comfortably accommodating two passengers, optional extras include a folding seat, a telephone and a choice of bespoke finishes if required. Hold-to-run controls mean the operator is in full control of the Lifton Home Lift journey and a convenient remote control means the lift can be called by the user at any time. The flexibility and versatility of the Lifton Home Lift is way ahead of its time. Its modular design means it is built from small sections into any location of choice – usually in one day - with a simple hole made in the ceiling for the lift to pass through between floors. 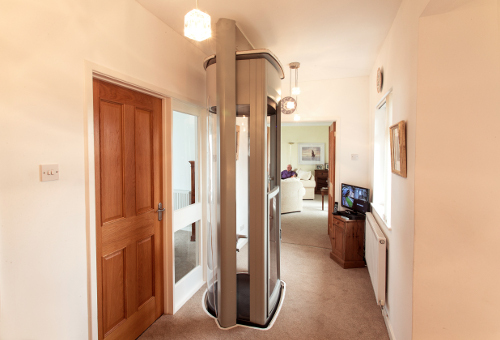 The home lifts range consists of the capsule-shaped DUO and wheelchair-accessible TRIO. Popular places for the domestic lift to be installed include main hallway up to landing space, cupboard to cupboard or even in the void of a turning staircase – such is the versatility of the design and build of this stylish looking home lift. Simple, convenient and brilliant.